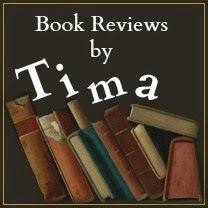 Book Reviews by Tima: Review "Rules"
*I will read the book as soon as I get to it on the list. I will try to hurry, but it might take as long as several months, depending on how long my list is at the time. *Please contact me before sending me the book. I read most genres, but would prefer to have a choice before receiving the book. Please include title, genre, small description and anything else you think I need to know to make my decision. *Like I said above, I read most genres, but if I'm super busy I might opt out of books that are not my favorite genre. Genres that I will never read are horror, gore or spiritualism. *I will post my review on my blog, Amazon, Goodreads, and my social media sites. I can place it on additional sites at your request. *I prefer paper copies. I don't enjoy reading ebooks and notice that I keep putting it off. 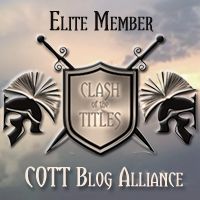 So unless you are a favorite author that I've reviewed before, I probably won't accept an ebook. Thank you. I look forward to reading your book! Different sites have different ratings for their stars. So a 4 star on Amazon is a 3 star on Goodreads. Since people that follow my blog and my Goodreads list depend on my honesty I feel obligated to let the authors know - my reviews are honest. I will not give a 5 star if I don't care for the book. I review ALL books based on how I liked the book. Books from my personal library, books I won in a give-away, and books sent from publicists and authors are all treated equal. If you like the same books that I like, than you can feel confident in picking a book based on my reviews. 5 Stars - I absolutely love this book. It moved me in some way. In fact, it was so good that I completely miss anything that might be wrong with it. Grammatical errors, lack of plot, etc. totally escape my attention. This book is definitely a keeper so I can re-read it someday. 4 Stars - I liked or maybe even loved this book. I might not ever read it again, but I enjoyed it. Sometimes if the book is exceptionally written I might give it a 4 star, even if it wasn't a personal favorite. 3 Stars - This book might have interested me, but I don't intend to add it to my library. It was probably just okay for me. It might be due to grammatical errors, lack of character and/or plot development. Or it could be that the genre was not my style. 2 Stars - This book was not good. It could be very poorly written, or a terrible representation of the genre. But it won't be a book I'd recommend and it certainly wasn't one I enjoyed reading. 1 Star - This book was terrible. It needs to be totally re-written or completely ditched. Thankfully I am very picky about the books I choose now, so these are VERY few and far between. Authors - A review that is 3-5 stars is a good review. I know there is a ton of controversy amongst authors, publicists, and reviewers about this. But I won't buy a book that only has 5 star reviews. In fact, I rarely even read those reviews. I will only give you a 5 star review if the book knocks me to my knees or makes me fall in love, just being honest. Please keep this in mind when submitting review requests.